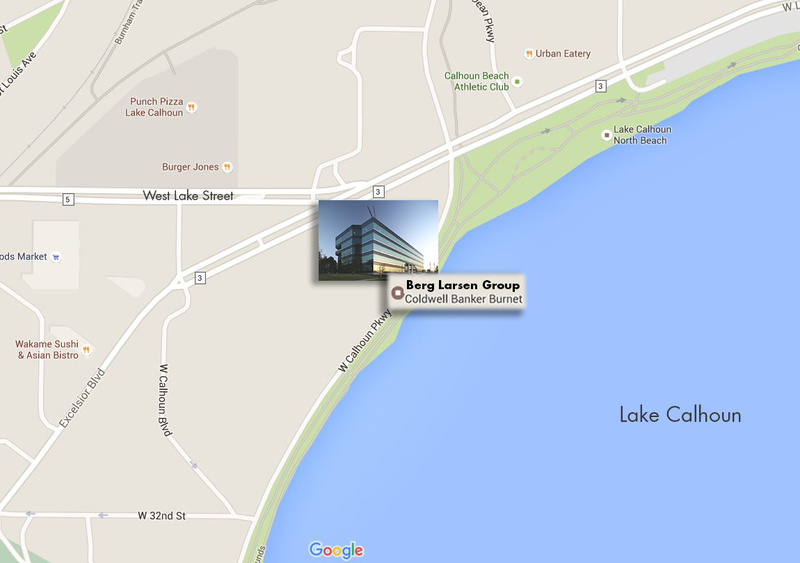 We are located on the North West Shores of Lake Calhoun in the Lake Calhoun Executive Center. Please, stop by and visit. There is FREE valet parking on the West entrance and we are located on the first floor, Suite 100, in the Coldwell Banker Burnet Minneapolis Lakes Office.